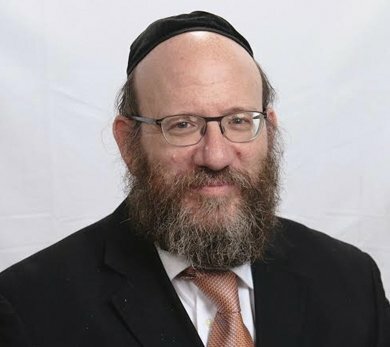 Rabbi Avrohom Adler currently resides in University Heights, Ohio. He was a Rosh Kollel for three years, a Rebbe in a local day school for thirteen years, taught the Daf Yomi for several cycles. He now is a Rosh Chaburah at night and teaches an in-depth Gemara class in the morning. www.dafnotes.com was initiated when there arose a demand for a top quality English Daf Yomi that would utilize a clear and concise translation that would incorporate the primary discussions of the Gemara for the advanced learner’s review and at the same time offers an easily understood translation for the beginner. Daf Notes enables anyone who is interested in gaining a basic knowledge of the daily Daf. Our presentation is written in a manner that does not require familiarity with the inner workings of the Gemara. This can all be done in under 20 minutes a day. Miss a day or a week? Do you feel at times that the Shiur you attend seems to be getting ahead of you? Do you sometimes feel like you missed something in the Daf and you would like a quick review? Are you someone who doesn’t study Daf Yomi every day but you find would like to feel part of the worldwide movement? The English Commentary of the Daf Notes offers the Daf Translation and Daf Insights. Daf Translation – Our Daf Notes English translation incorporates the discussions of the Gemara for the advanced learner’s review and also offers an easily understood translation for the beginner. Daf Insights – The Insights portion of the Daf Notes consist of Halachic and Aggadic topics. The Insights can be used as a springboard for further research and learning. Daily Mashal – We attempt to glean something practical from each and every Daf; something that can make a positive difference in your life. We are pleased to offer this option to you and we ONLY ask that you spread the word. A new Daf is ready for viewing on a daily basis. 1. Subscribe at the Daily Daf and receive the new Daf as it is published. 2. Come back daily to view the new daf online. We hope you like our site. Please send us your comments.